Reiki is a very relaxing healing therapy! What is Reiki Animal Healing? Animal healing is something close to my heart which combines really well with animal communication. Being able to heal animals can help your pet find peace and minimise suffering. If you have a pet that is uncomfortable or has health issues you should always visit the veterinary clinic first, but animal healing – whether distant healing or with reiki healing hands – is a wonderful additional path that can help your pet feel better. My background with healing began in 2003 when I completed the NFSH (National Federation of Spiritual Healers) foundation courses 1 – 4. Now renamed as The Healing Trust, they are one of the UK’s most recognised healing organisations and these teachings gave me a solid grounding for healing work on both humans and animals. Since then I have evolved my healing skills to infuse further techniques, allowing for a more focused healing method that is suited to animals. I am now a level 3 Reiki Master practitioner and use this Japanese healing therapy. If you would like to find out more about my reiki training please see the about me page. Reiki is a natural energy therapy that is understood to be a flow of healing energy from the practitioner to the patient. It is very relaxing and revitalising, helping to heal from the inside out. Scientific studies have concluded that energy healing works wonders and many research papers on spiritual healing can be found on this website www.wholistichealingresearch.com. How Can Reiki Help Pets? The Reiki healing of animals works on so many different levels, from physical to mental, emotional and spiritual. It can be beneficial for everything from illnesses to injuries. Behavioural problems can also be resolved. Reiki can help speed up recovery from illness and injury as it allows the animal to heal itself on a deep, natural level. It is a wonderful, non-invasive method that helps to bring the animal back to a place of natural balance. Reiki healing can remove blocked energy that can cause both physical and emotional issues. As well as healing current issues, animal healing can be used on a regular basis to help prevent future health problems from occurring, keeping the animal’s energy field in a balanced condition and boosting their immune system. How Do the Animals React to Reiki? This really does depend on both the animal and the issues it has. Most pets will become very relaxed, often yawning or twitching as they release stress and negative emotions. Some will welcome it and stand in position to receive the Reiki healing whilst others may be restless. This is where I may opt to use distant healing rather than hands-on reiki. It is possible also to ‘beam’ the energy to animals. You may see changes in your pet after a reiki session or you may not. Don’t worry if you don’t – just because you can’t see a change it doesn’t mean it hasn’t helped them. It doesn’t help every issue they might have, but it always goes to where it is needed most. It’s also worth noting that a few sessions are more beneficial than just one. Reiki allows the transmission of universal energy to your pet. This may or may not be accepted by the animal. If I can tell that the energy is not being accepted I shall certainly tell you. However, this is not always felt. Positive change cannot be guaranteed, however, it is common for animals to accept the energy and for it to exert positive change without any outward signs – the energy is very subtle and gentle and several sessions may be necessary for the gentle and gradual change to occur. Distant healing (also known as ‘absent healing’ or ‘remote healing’) is the method of sending Reiki energy without being in the presence of the animal. Transmitting healing over distance can be a very effective complementary therapy and is ideal when the pet can not be seen in person. As with hands-on healing, it can be offered to any animal whether they are a pet, horse or a wild animal. To read more about distance Reiki please read this article. I offer reiki healing to any animal, dog, cat, horse, pig, etc. and you can book a healing session right here via the form on this page. You can try a single reiki session for your pet and that may be enough – I have seen some amazing transformations after just one reiki treatment before. Sometimes, as with healing humans, it can require a few sessions to see a difference but your pet should always feel better during and after any healing work. Simply fill out the form with the details and a photo of your pet and Paypal will transfer the money safely. I will then send the distant reiki healing within one week. I will also email you back afterwards to let you know the healing was completed and to see how your pet is. If I intuitively pick up on anything I will also relay that to you. 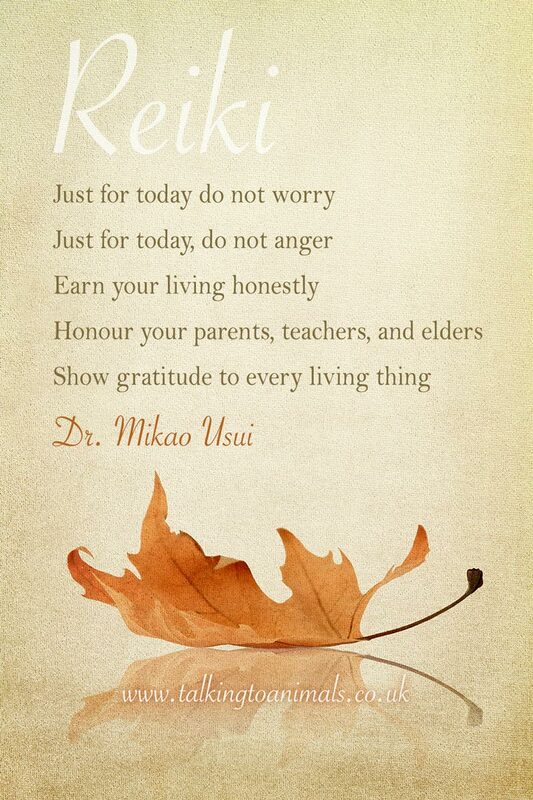 Hands-on reiki sessions are available in the Pershore, Evesham & Worcester area. I am happy to travel further afield but please contact me first to discuss travel costs. To book a reiki session in person for your animal please use the contact form. 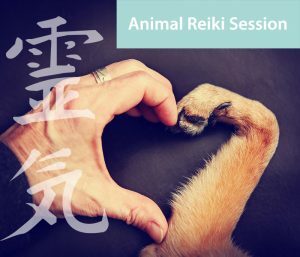 Use this form to book a single remote reiki session for your pet. After filling out the form you will be directed to the payment page. Does the animal have specific health issues? Please be patient whilst the picture uploads. Use this form to book 3 distant reiki sessions for your pet. Use this form to book a distant reiki session for yourself. Do you have any specific health issues? I am a reiki practitioner member of SARA (Shelter Animal Reiki Association).